Please find your CLP monthly update below. On 7th July, the Labour Party is holding a National Campaign Day. 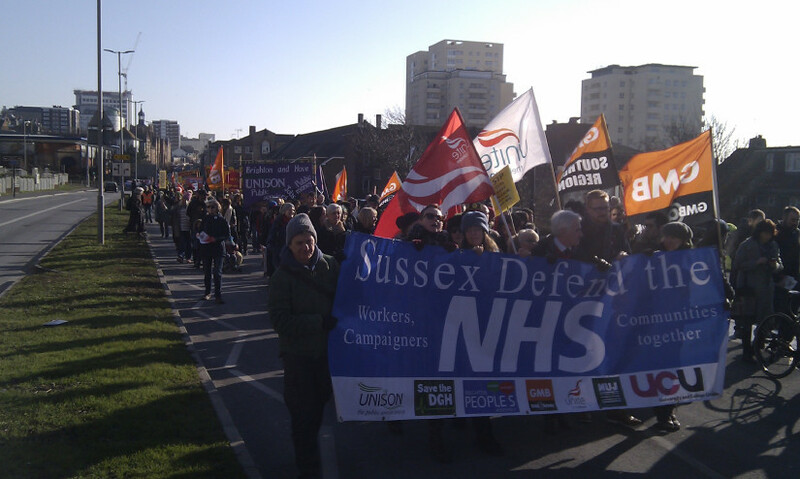 Kemptown & Peacehaven Constituency Labour Party (CLP) will be holding a street stall between 10:00am and 14:00pm outside the Royal Sussex County Hospital. Please come along to promote the NHS and join this national day of action! If you would like to get more involved in organising this campaign day, please contact the CLP campaigns officer: campaigns@kemptownlabour.org.uk. In addition to the above, there will be a canvass in Saltdean, 11am meeting at the Arlington Gardens, Saltdean Vale, bus stop – if you’re taking the bus, you’ll need the 27. We very much look forward to seeing you at this national campaign day. For the most up-to date information on local events, please visit our website: http://kemptownlabour.org.uk/upcoming-events. Campaigning and canvassing is happening throughout the city. Please visit the website here for the most up to date information. As per the selection timetable, delegates of the full LCF will be meeting on Tuesday 3rd July to approve ‘the Panel’, the list of candidates who will be able to put themselves forward to stand for local government selection. Throughout July and August, your branch will be holding shortlisting and selection meetings. At these meetings, members will choose who they want to represent their ward in the 2019 council elections. Concerns have been raised over Safeguarding and Member Welfare. The safeguarding manager for the Labour Party has asked that all members of this CLP read through the two documents that I have attached to this email with regards to this matter. As of conference 2017, all codes of conduct form part of the rules of the Labour Party. I hope everyone is having a great summer and that you’ll find some time to come out on the campaign trial for the Labour Party.